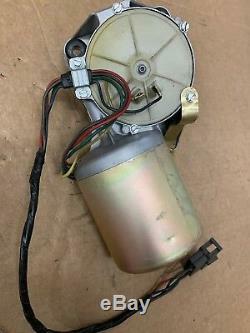 Mopar variable speed Wiper Motor number AATU 246 with a date code of 246 (January 1966). This unit has the Large output shaft. Three different output shafts were used by Chrysler so you must have the correct combination to make things fit, see last picture. Last picture for reference only and those parts are NOT included. They are confused about the differences and seem more interested in making a quick buck. The internal grease gets dried up after decades of sitting on a shelf and internal connections will corrode. 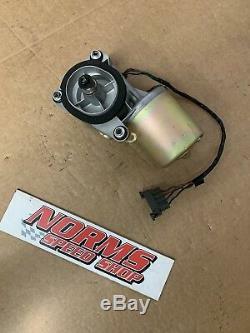 Fits Charger Coronet SuperBee RoadRunner Satellite Belvedere GTX SuperBird Dart Barracuda Valiant and more. 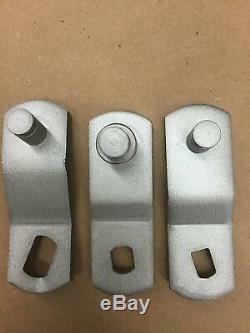 We do have other units in stock. 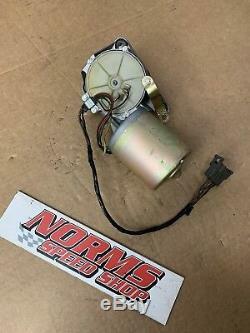 The item "Mopar Variable 3 Speed Wiper Motor 1966 1968 B A Body 66 Charger Coronet AATU246" is in sale since Thursday, January 17, 2019.